High-end camera sales were brisk thanks to the new ML (Nikon Z6, Z7) launch, but fierce competition in the shrinking entry and mid-range DSLR markets suppressed the volume largely in addition with the initial cost, resulting in revenue and profit reductions. Very noticably are the crashing sales of fixed-lens digital cameras (Compact DSC): Based on volume the firm produced about 40% less cameras compared to last year. 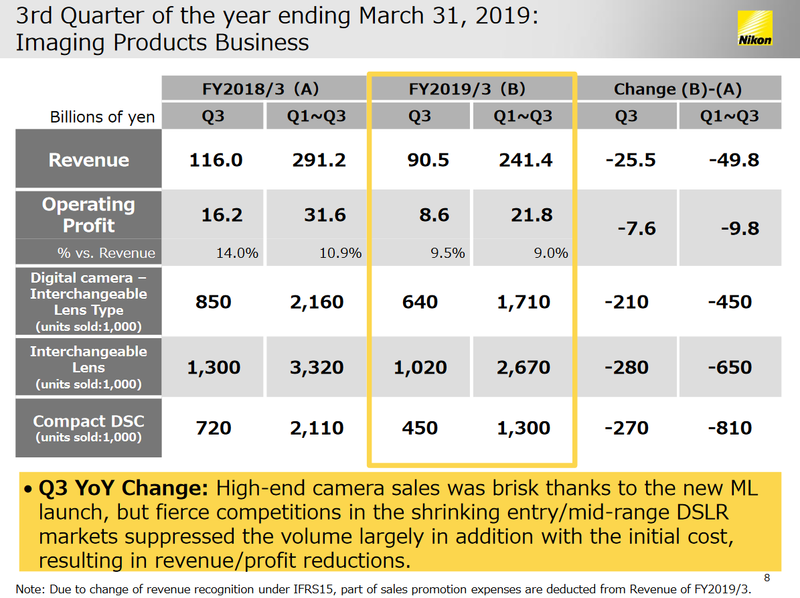 In the report, Nikon refrains from making forward looking statements; like the competition the japanese camera maker will likely focus on the more profitable product segments. 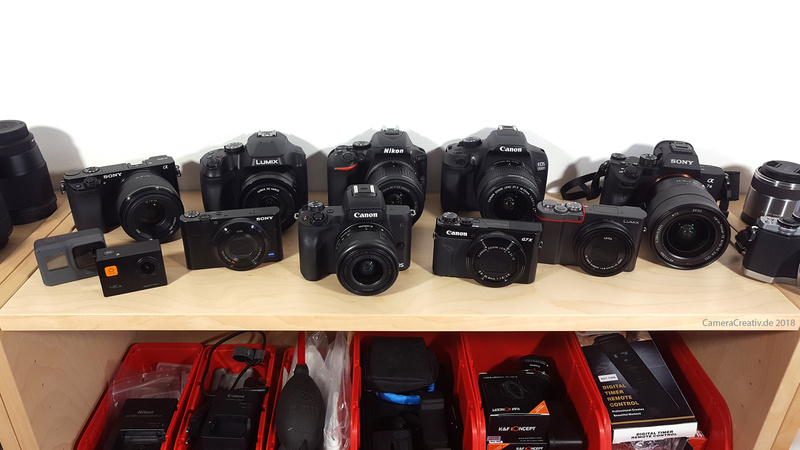 Expect more higher-priced full frame models and fewer entry level compacts and DSLRs.